Peoria Nissan is a trusted resource for reviews of the 2013 Nissan Murano - scroll down below the video to begin reading. Peoria Nissan is a top-rated Nissan franchise in Phoenix for a reason. We provide you with reviews created by automotive writers at the height of their craft. 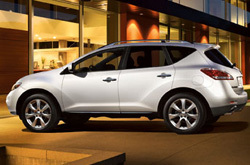 To make intelligent decisions when it comes to your next Nissan Murano purchase, don't guess! Each article is packed with data and Murano features in way that's easy to understand. Can you see the Murano parked in your driveway? You won't know unless you read on! Check out the 2013 Nissan Murano to versus similar autos like the 2013 Honda Pilot, Ford Edge and the Toyota Venza, and you will realize that the 2013 Murano out does those vehicles in several areas. See the reasons see why! Our Nissan dealership in Phoenix is anchored near a multitude bordering cities! So, you're a small jaunt away from having real OEM parts and work from Nissan technicians! We also throw in a generous warranty on repairs! If you dismiss routinely maintaining your Murano, its fitness could shatter, so bring it to Peoria Nissan's service center in Phoenix. We do a large spectrum of repairs, from manageable fuel filter replacement and ordinary inspections to more difficult jobs such as muffler repair. 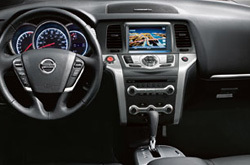 For inexpensive, valuable Nissan car repair in Phoenix, the primary place you should take your Murano is Peoria Nissan. Take a look below to view money-saving service specials.